The tone of any business is set at the top. At the top of Millelumen is the founder, Dieter K. Weis. He was a professional photographer, so he has a heightened awareness of light. He has also been designing light fittings for over thirty years. His preferences are for straight lines, clear and reduced shapes, concentration on the essentials, whilst always considering the impact of light. The search for purity of form means that it can take years to finalize a design. There will be no visible screw heads or fixings. The point where two surfaces meet is always carefully managed. The fixing of the cable to the structure happens within the structure itself, a wider (beautifully edged) hole surrounding it. ...as would be seen on a very expensive motor car. Millelumen's core collection is the Classic, made up of square section hand-brushed aluminium. "From the very beginning, it has been our aim to create unique pieces of art, that stage-manage, decorate and redefine rooms and spaces". 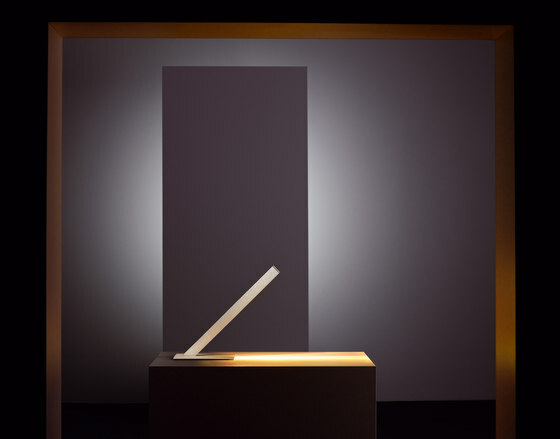 Millelumen is as concerned about the quality of light cast as they are about the luminaires. They use very high quality LEDs and those aluminium bodies are very efficient heat sinks. Besides LEDs in various whites, they also use ten or fourteen LEDs in a row that have a specific mix of red/green/blue. This means that a vast range of colours can be created, that can be saturated or soft pastels, allowing the light cast to be adjusted to its specific use. An infra-red remote control is an option. Other lights can be fitted with sensors that enable the light to be changed merely by waving one's hand underneath them. What this means is demonstrated by videos in their excellent YouTube collection, that you can access here. It is so easy and intuitive -- and cool! He quotes Saint-Exupéry, "Perfection is achieved not when there is nothing more to add, but when there is nothing left to take away." (Il semble que la perfection soit atteinte non quand il n'y a plus rien à ajouter, mais quand il n'y a plus rien à retrancher) And Mies van der Rohe (though Browning got there first, in Andrea del Sarto): "Less is more."